Samajwadi Party chief Akhilesh Yadav Sunday said the grand alliance of opposition parties in Uttar Pradesh will ensure the removal of all 'chowkidars' and the country will get a new prime minister after the Lok Sabha polls. Taking a swipe at the ruling BJP, Akhilesh said during the holy period of Navaratri no one should lie. "In 2014, we trusted a 'chaiwala' (tea seller), the poll promise of millions of jobs and so many other promises. Now we are being told to trust the 'chowkidar'. We will ensure removal of 'chowkidars' (watchmen) from all the 'chowkis' (post)," he said at the joint rally of the SP, BSP and RLD in Deoband. "We want to appeal to the BJP... during this holy period of Navratri, you should pledge not to lie. 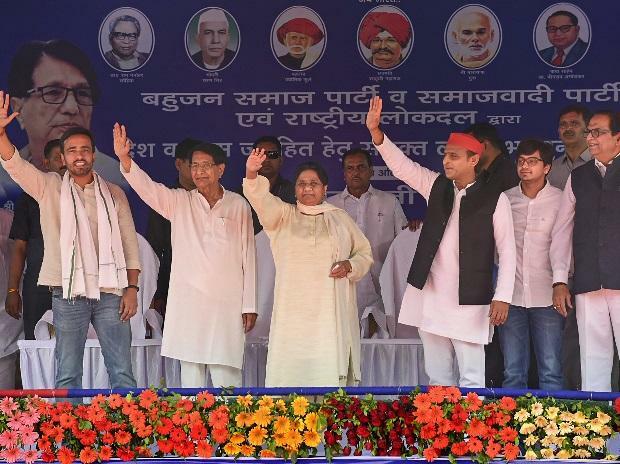 We want to make sure all our candidates win by a huge margin so that the country can get a new prime minister," he said with BSP chief Mayawati and RLD's Ajit Singh present at the dais. "These people call themselves custodians of religion... But they don't even know how to take a holy dip in the Kumbh. If you compare the Congress and the BJP they just mirror images of each other. The Congress doesn't want to bring change, it's only in pursuit of power... You guys (BJP) are making tall claims about the electrification, it was our parties who ensured electrification of villages," Akhilesh said. Striking the chord of communal harmony in Deoband, where there is a sizeable Muslim population, Akhilesh said Saharanpur is skirted by Mata Shakumbhari Devi on one end and Darul Uloom on the other. "There are leaders who only spread hatred. If you ask them about old promises, they will not speak on them," he said.